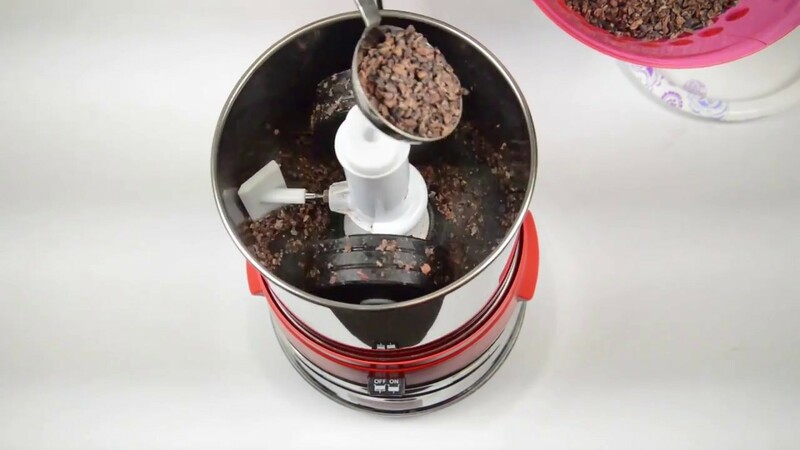 The preferred choice of artisan chocolate makers, the Premier Chocolate Refiner is a low-impact, countertop model, purpose-built for making chocolate and nut butters from scratch. Low-impact refining allows for maximum retention of nutritional value while at the same time preserves the shelf-life of the product. The machine features two roller stones made from natural stone granite, and it has two deflector blades instead of just one. The double deflector system allows for more efficient processing as it directs the mixture equally under the stone wheels, reducing production time. The double deflector system also creates better aeration/conching, especially for chocolate-making. The Premier Chocolate Refiner’s robust motor is designed to withstand the stress of running chocolate 24/7/365. Easy to transport due to manageable size and weight. Can be checked in as overweight luggage on flights.